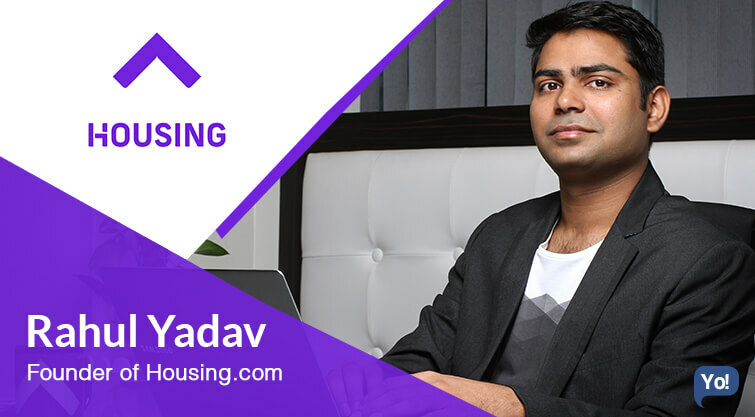 Inspiring Success Story of Rahul Yadav - The curious case of Rahul Yadav! 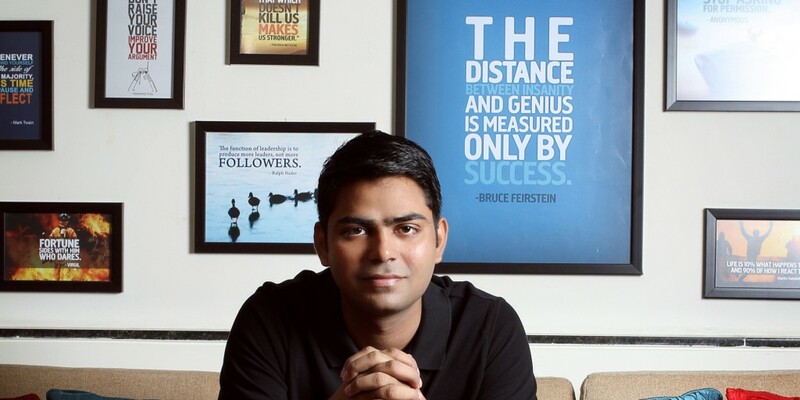 Often referred to as the bad boy of the Indian start-up world – Rahul Yadav is the ex-founder and the former CEO of the Rs. 1500 crores Housing.com. Rahul born to a middle-class family from Rajasthan is an IIT (Bombay) final year dropout. He had enrolled at the Indian Institute of Technology Bombay in 2007 to specialize in metallurgy. He also went on to serve as the representative and secretary for the university’s student association as well. Later, he had also gone on to build Exambaba.com, which was an online question bank of old exam papers, but eventually he was asked to close the site but the institution. 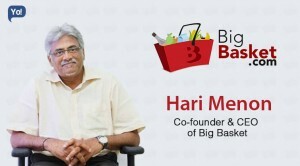 He is one person that has taken the whole of Indian start-up ecosystem for a roller-coaster ride and has managed to give some much desired light to the dark side of the environment. Anyways, Rahul was the favourite child of controversies. He was always in a fight with the Dean or the Teachers at the IIT for some reason or the other. But this also the place where the idea of housing.com had first erupted! Let’s tell you his story! Now everyone likes a good story and Rahul sure as hell has an interesting one for you. His story may at some point remind you of Steve Jobs as well. How Did The Idea Erupt? 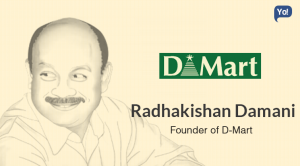 So this is how he went on inscribe his name in the history books of start-ups forever! 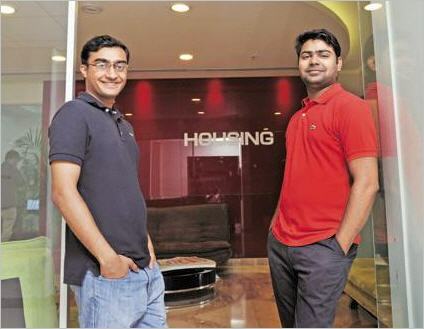 A group of boys including Rahul Yadav, CEO, Housing.com & Advitiya Sharma, CMO & Co-Founder of Housing.com had came down to Mumbai for further studies at IIT-B, and found it literally impossible to find accommodation. They had to spend a month on the roads of Mumbai searching for a decent accommodation but failed! Finally, after a long and tiring search they found a house near the IIT-B campus, Powai. Since they had a good network of potential clients among their IIT friends and batch mates, they become brokers and were making Rs.1-2 lakhs / month within a short period of time. They now felt that it was now time for national expansion, but because they lacked extensive local knowledge of different cities and states, they felt held back. 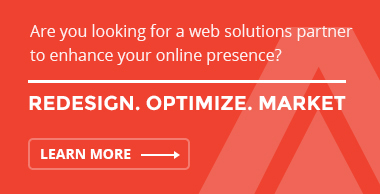 This problem was turned into an opportunity by these boys when they decided to build a website for the same. 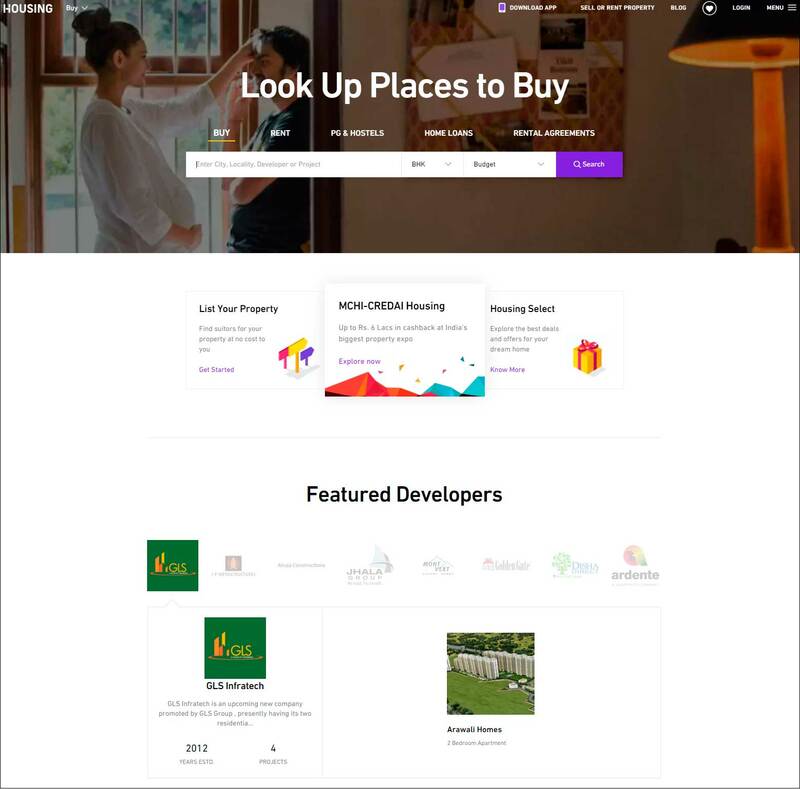 And because none of them were formally coders except for Rahul (who had learnt coding during the process of building Exambaba.com), he designed and built a well-planned map-based portal and called it – “Housing.co.in”. The portal was made open for public in June 2012! TRIVIA: - According to Forbes India, Housing.co.in had sold $8 Million worth of real estate in their first week. Hence, after the birth of the company and after seeing its sudden growth, all other founders left their consulting and software jobs and joined-in full time. 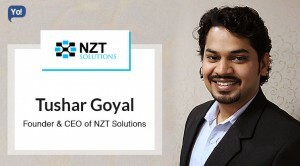 Soon the company also managed to raise two rounds of funding of Rs.1.5 crores (from Haresh Chawla – former CEO, Network18) and Rs.50 Lakhs (from Zishaan Hayath – Co-founder, Chaupaati Bazaar). 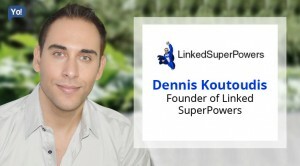 Later, in the first few weeks after the launch of the site, their initial brokerage-based model was dropped and the listing-based model was selected, as it was more reliable. Now with such immense developments, it was clear that the company was making a killing. And although, it was reported that the portal had broke-even their operational cost in the Mumbai market in the first nine months itself, but due to investor confidentiality clauses the company could not formally reveal their revenue details. This was attained by their simple revenue model, wherein they charge a 6-monthly subscription fee of ₹5,000 or ₹8,000 for an annual subscription from the brokers and agents for premium services. After which, they can upload as many listings and inventories as possible, with a condition that their in-house team will go ahead and collect the data. So basically, when a customer searched their website for a property, they would see 3D models for every single project, along with a 360 degree view. 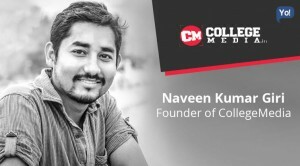 And evidently in a matter of a year, the company surpassed its competitors – Makaan.com and Indiaproperty.com in terms of reach percentage, and also raised another round of $2.5 million along with an unannounced round valued at $3 million from Nexus Venture Partners (reported by nextbigwhat.com). 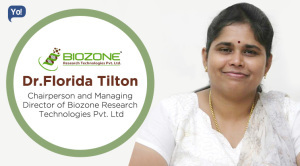 These funds were majorly used by the company to create a (highly required) Data Science Lab, and also to expand to cities like Chennai, Delhi, Noida and Ghaziabad, Hyderabad and Faridabad. By now the company had also increased their staffing to 700 employees (and hiring) and the site now was also clocking 1-lakh / day unique user base. By the end of the 9th month of 2013, the company bought the domain name “Housing.com” along with a national number, “03-333-333-333”, for a whooping $1 million with intentions to target international users in the near future. And by the end of this year, on the advice of their Data Science Lab (DSL) the company also added Child Friendliness Index (CFI) to its platform measuring neighbourhoods in three different criteria’s: 1) number of schools in an area, 2) number of hospitals and parks in an area, and 3) proximity of these facilities to the area. Additionally, they also launched a new option for users to search for paying guest rentals in cities. The year of 2014 saw the launch of the Demand-Supply Monitoring Tool, along with another fundraiser of $19 million from Helion, Nexus and Qualcomm . And when you look at the company today, with a strong team of 2500 people (and expected to grow to over 4000) housing.com is valued at ₹1500 crores. The company at the moment gets more than 11 million visitors on the website / month, and has also crossed a million app downloads as well. The Acquisitions made so far? Now to tell you about the fall in his life, we first have to rewind back a little. The month was December of 2014. After running from every pillar to post, Rahul had finally managed to convince the Japanese, more precisely Softbank Capital to invest $90 million (Rs.572 crores) in Housing.com. Using these funds, the company went on a massive development spree. 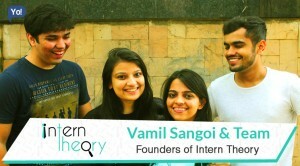 They began by mapping over 40 million houses across 300 cities in India, then began large scale hiring of over 500 people from the IITs and other topflight engineering schools, and also began spending heavily on advertising campaigns. 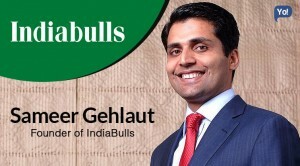 Now around the same time, Rahul had got highly instigated by the fact that, Shailendra Singh – Managing Director, Sequoia Capital (one of the largest VC firms in the world) had reportedly offered a job to a Housing.com employee. And to counter this, Rahul wrote an email to Shailendra threatening him that if they didn’t stop messing around with Housing, it would be their end. While this was hot, Times Group also sent a legal notice to Housing.com seeking Rs.100 crores ($16 million) in damages from the company. This was because Rahul had once in an email to his employees claimed that Times Group was trying to harm and damage Housing.com. To add to all that, Rahul since a while had been suppressing his frustration for the investors, who forcefully (according to him) were calling the shots in the company, and he had begun to feel like a Namesake CEO. His frustration with the investors reached its peak and finally came out in 2015, when he in an email to the Board Members and Investors, Quit the company. The email that he sent had some heavy words used which clearly showed the level of frustration he had with the investors. But then a day later, it was reported that Rahul had agreed to withdraw his resignation after having frank and healthy discussions at the board meeting. Furthermore, he also apologized for his unacceptable comments about the board members as well. Later in the same month, Rahul in a shocking news announced that he is giving away his complete stake in Housing.com to its employees, and the reason in his words was – “I’m just 26 and it’s too early in life to get serious about money etc”. 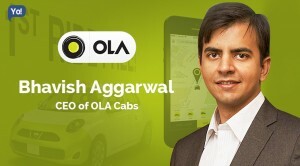 The shares were estimated to be worth somewhere around Rs150 – Rs.200 crores. And this turned out to become the last nail in the coffin! 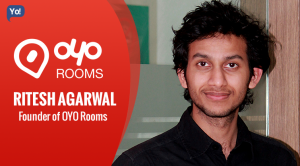 In July 2015, it was announced that, Rahul the co-founder and the CEO of housing.com has been fired from the firm and would no longer be associated with the company in any manner. But as much as hard hitting and demotivating these chains of events were, they equally were a blessing in disguise. Not only did they turn out to become an eye opener to the dark side of the start-up world, but these also helped Rahul to learn how to gain an objective point of view of the whole situation, be more strategic and diplomatic, and at the same time learn out of it and move on. And with this began a new chapter in his life! Now even with some many bad events happening in a row, Rahul being the fighter did not feel disheartened, demotivated or short of inspiration. He decided to stand back up with full confidence, and began preparations for a new venture! Learning his lessons from his recent chain of events, and with his deep understanding of technology he decided to move ahead and in the next few months or should we say recently; Rahul has announced to start a new venture in the field of Data Analytics and Visualisation. Being data analytics inclined, the new company will be focusing on analysing large data to predict consumer behaviour and provide speedy insights at key decision points. It is also said that, Rahul’s new venture is aimed at revolutionising the usage of data analytics and its purpose. Well, Rahul’s interest in that genre goes back to his tenure at Housing.com. If you remember, Housing.com had acquired a data analytics firm called Realty Business Intelligence (BI). This was dome to get a deeper understanding of consumer behaviour and to help him make better decisions. 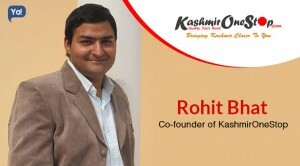 Although the name of the new company is still kept under wraps, but he has also approached and received personal investments from Vijay Shekhar Sharma (Founder of Paytm), Sachin Bansal (Co-founder of Flipkart) and Rahul Sharma (Founder of Micromax) for his new venture. These funds are anticipated to be somewhere close to $15 million. More recently, he also had met the RIL Chairman and the richest man in India – Mukesh Ambani. Now although, his final approval is yet to come and there is no official announcement but it seems that the honcho also seems to be interested in his new project and there is a high chance that he will bet on this young man. On the other hand, Rahul even after this whole incident where he was portrayed as a villain (by the media and many others), he is not falling short of hands. It is not just the investors but his former staff members are also keen on his latest venture. According to a report in Inc 42, there has been a mass departure from Housing.com to join Rahul’s company. It was also reported that Housing.com had been planning to sack 600 of their employees but it is seen that they are voluntarily retiring to join Rahul’s new venture. 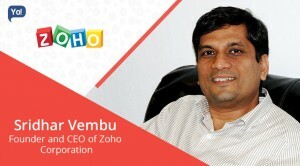 Additionally, many senior staff including Pratik Seal (CMO and Finance), Azeem Zainulbhai (Chief of Staff), and Suvonil Chatterjee (Chief Design Officer) have already left Housing.com to join him. And lastly, there was also a huge buzz recently that Rahul would be joining Bigg Boss’s latest season (Indian version of Big Brother). Yes, it is true that he was offered to join, but keeping in mind his plans for the new venture, he won’t be coming on board.